WHY JOIN THE TEXAS LOCKSMITHS ASSOCIATION? Stay Connected – TLA distributes Texas Occupations Code & Texas Administrative Code updates to our membership regularly. These laws that regulate locksmiths in Texas – if you don’t know them, you may be breaking them. 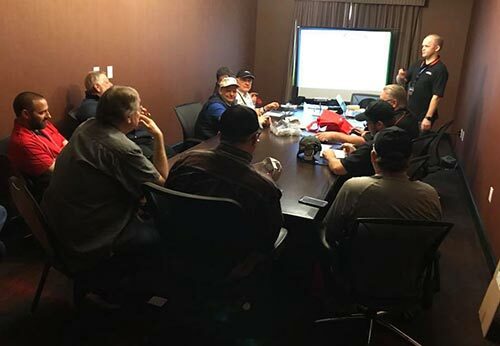 Receive continuing education and ongoing training – 16 CEU’s every two years are required to maintain your locksmith endorsement with DPS. Save Money – Membership in TLA can get you DISCOUNTS with our associate members, training, and continuing education. Provisional regular membership may be granted if registration has been applied for but not yet granted by the state. Provisional membership will be reviewed by the board at each quarterly board meeting to determine if state registration has been granted and the provisional membership converted to a regular membership. If the registration has been denied or blocked, the provisional membership will be canceled. A provisional membership may be continued at the discretion of the board if the denial of registration is being appealed. No refund of dues and assessment will be granted in the event registration is denied. Apprentice. To qualify for apprentice membership an individual shall be at least twelve (12) years of age and a dependent of a regular or life TLA member. An apprentice member shall automatically become a regular member upon age eighteen (18) providing that apprentice membership status has been maintained and that member is actively engaged in locksmith work and received locksmith registration if required by Texas Law. Associate. To qualify for associate membership an individual or business firm shall be approved and pay the fees set by the TLA Board of Directors, herein after referred to as BOD. Honorary. To qualify for honorary membership an individual member shall: 1. Have provided exemplary contributions and service to TLA; 2. Be selected by the BOD. Fill out the Texas Locksmiths Association membership application in order to gain access to the website. Apprentices, put company licensed through. If not licensed, submit reason. Submitting an application does not guarantee membership. Once the application has been reviewed, you will be contacted if additional supporting documents are needed. Full payment is due before membership will be granted. Full name and company name will be published electronically. Members have 30 days to contest an applicant's membership. By submitting this form you are consenting to have your full name and business information published. Once you submit your application, we will contact you shortly to complete your membership application. Thank you! Current Texas Locksmiths Association members, please fill out this form in order to ensure we have the most up to date contact information. Then we will provide you with login credentials into the website. If you also paid for your shop members to have a membership, please list their full name, current email, and phone number. How Did You Pay For Your Current Membership? When Did You Pay For Your Current Membership? Once you submit this form, we will verify your membership and provide you with login credentials into the website. Thank you!